A little window display cheer for us on this wintery Monday morning. It has been quite a few weeks in a row of relentlessly harsh weather on our Monday morning commute. Not so much fun. Today’s icey rain mix reminded me of walking around Mayfair in London one cold, wet day last Winter and coming across these beautiful windows at Lanvin. It made me smile when I saw these windows and I found myself dreaming of Spring. Spring means butterflies and this window was full of them. I love that Lanvin didn’t feel the need to display any clothes in the window. Just butterflies. 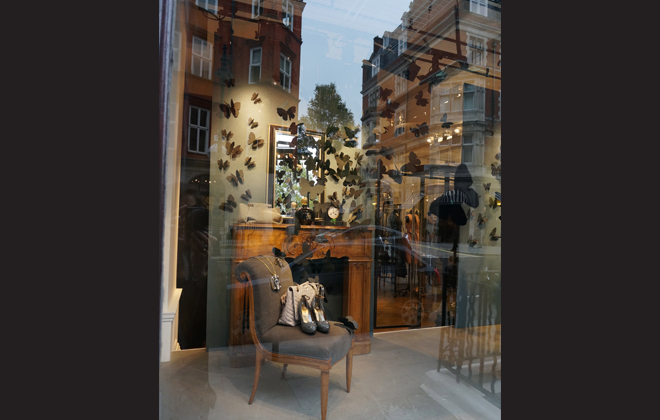 Yes, lots of butterflies, and a beautiful wooden fireplace and a chair with a pair of shoes and a handbag places upon it. Enough said. 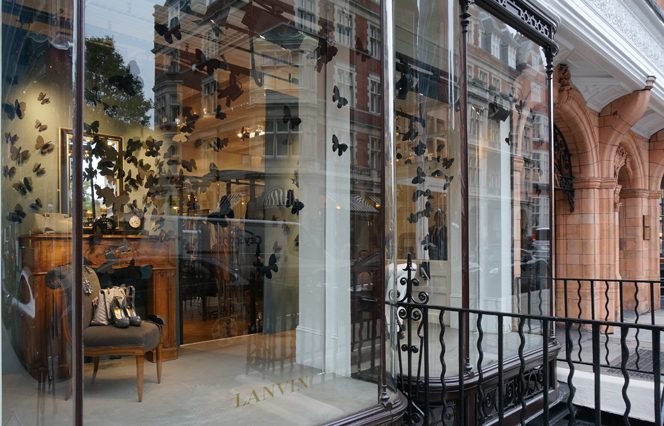 What I loved as much as these beautiful windows was this tiled mosaic walkway in front of Lanvin. 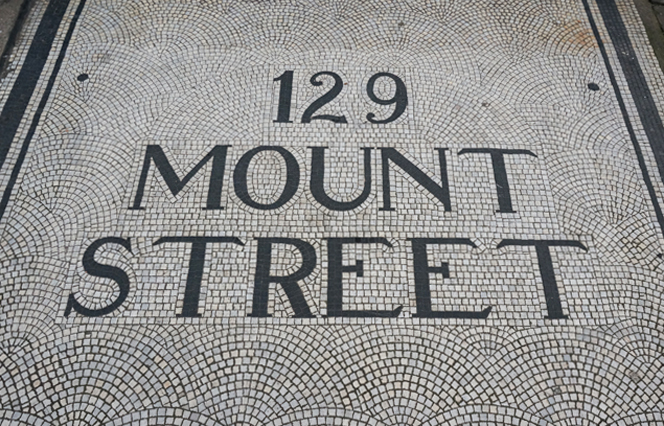 Why don’t we tile entryways like this anymore? Clearly this was done long, long ago and look at how long it lasted. Enduring beauty, but the graphic designer in me sure wants to fix the kerning! How gorgeous is this? All photos by Interior Monologue. All photos by Interior Monologue.